The movie premier of Divergent is only 2 weeks away. We are getting closer every day and my son and I can barely stand the wait. 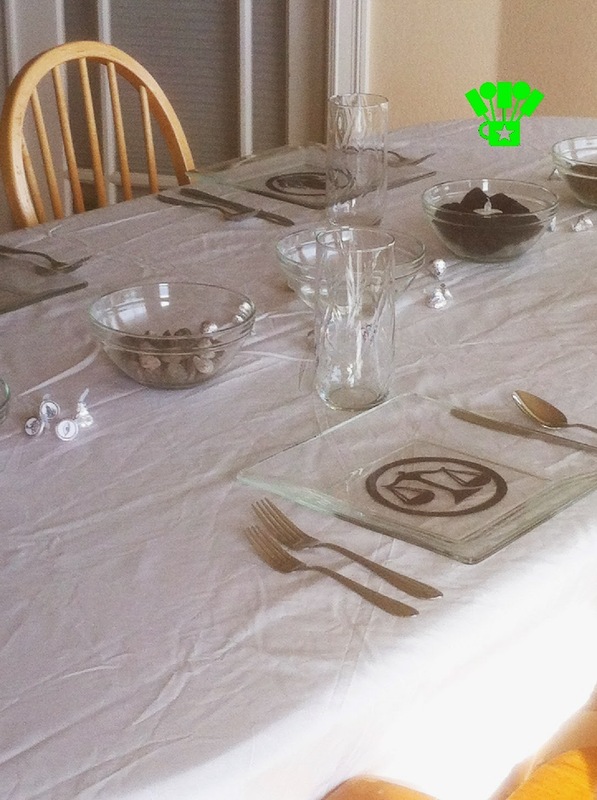 To shore us up for the final stretch, I decided to throw our family a Divergent Dinner Party tonight. It was a pretty simple set up. One that you can do with items you probably already have on hand. 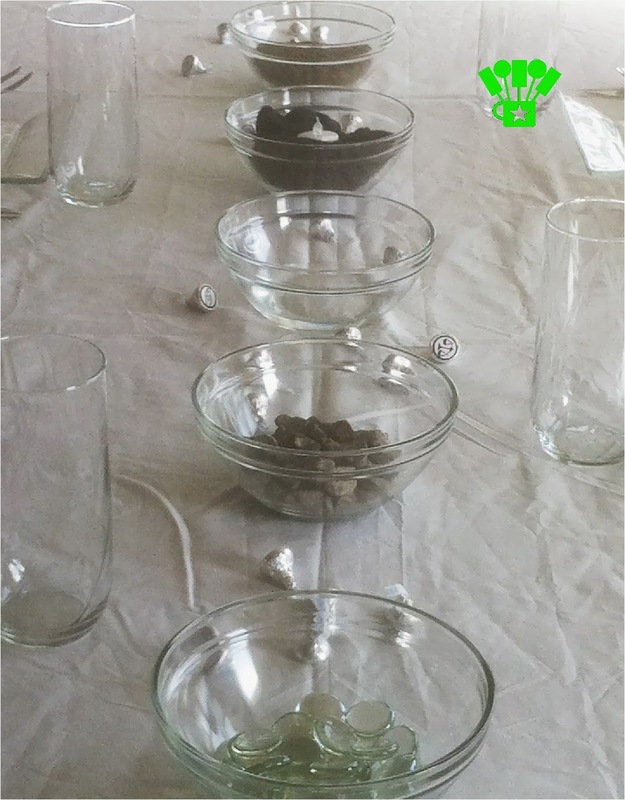 I started with 5 bowls from Dollar Tree to symbolize the Choosing Bowls. Inside I put some beads to symbolize glass for Candor. Grey rocks from my front yard to symbolize grey stone from Abnegation. Water for Erudite. Black tissue paper around a flameless candle from Dollar Tree to symbolize lit coals for Dauntless. And Dirt from my back yard for the earth for Amity. I placed these down the center of my tablecloth. Surrounding the choosing bowls are my Faction Hershey Kisses. 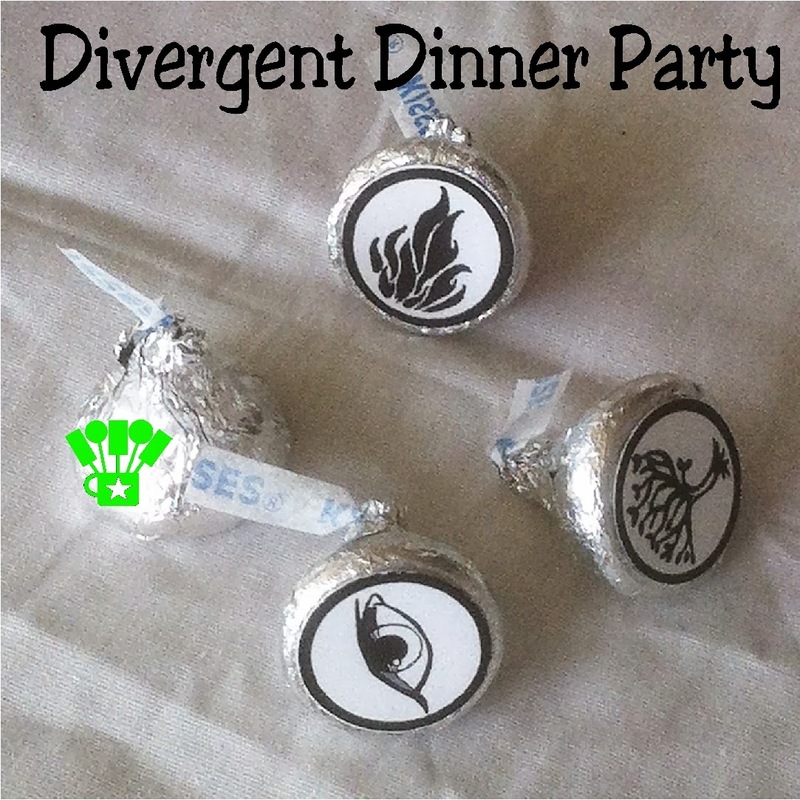 My daughter drew each of the faction symbols and we placed them on Hershey Kiss stickers. 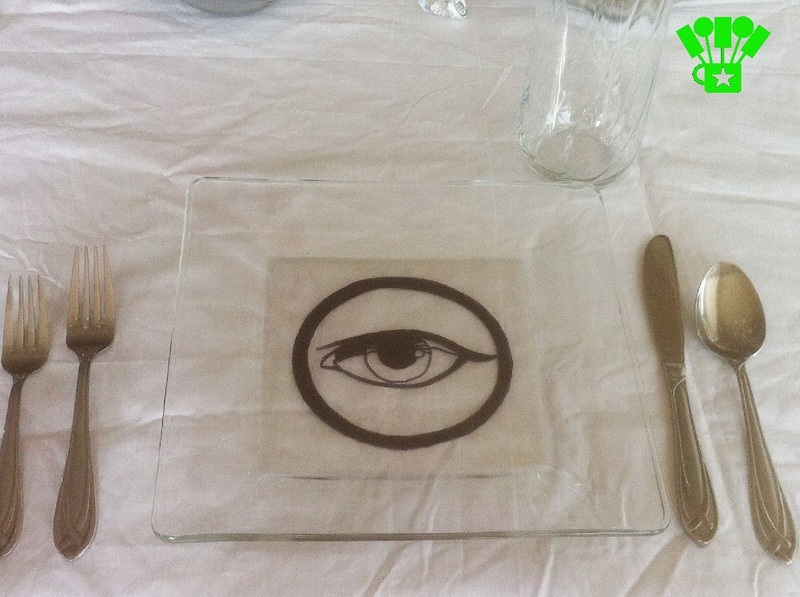 For the dinner plates, we drew each of the symbols on to the back of glass plates from Walmart. With them being on the back, I don't have to keep the design while still using them. I can wash it off if I don't want to bake the design on to the plates. It was a pretty simple dinner table theme, but I'm super excited to sit and discuss the books and be excited for the movie with my family tonight. Do you ever have fun dinner theme nights?